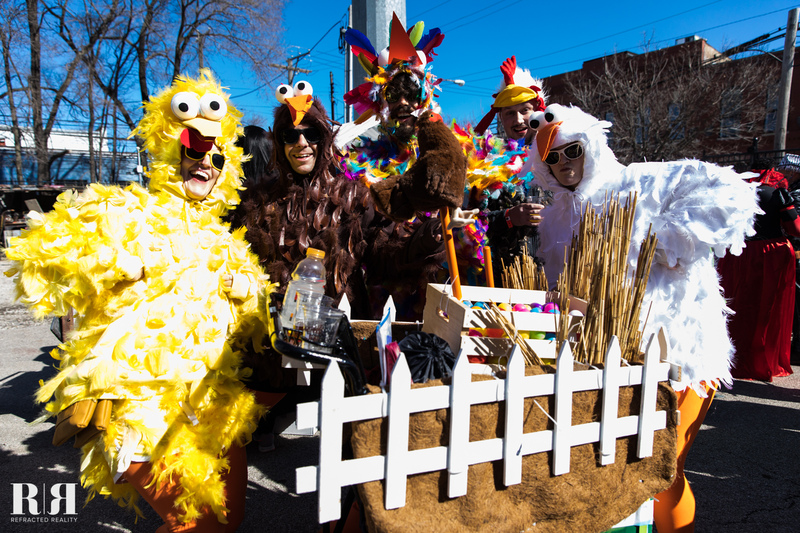 Nearly eight hundred kindred souls gathered on a balmy 40 degree day to create the annual spectacularly-festive, extraordinarily-costumed, epically mobile food drive and charity shopping cart race — CHIditarod XIII. The sun-drenched Chicago streets were filled with more than 250 volunteers and 97 teams of 5 costumed and thoroughly excited humans, raising food and record-breaking funds in the pursuit of feeding the hungry while racing tricked-out shopping carts through 5 themed checkpoint establishments in the name of charity, prizes, and glory. Truly, a spectacle like none other, and a day to long remember. 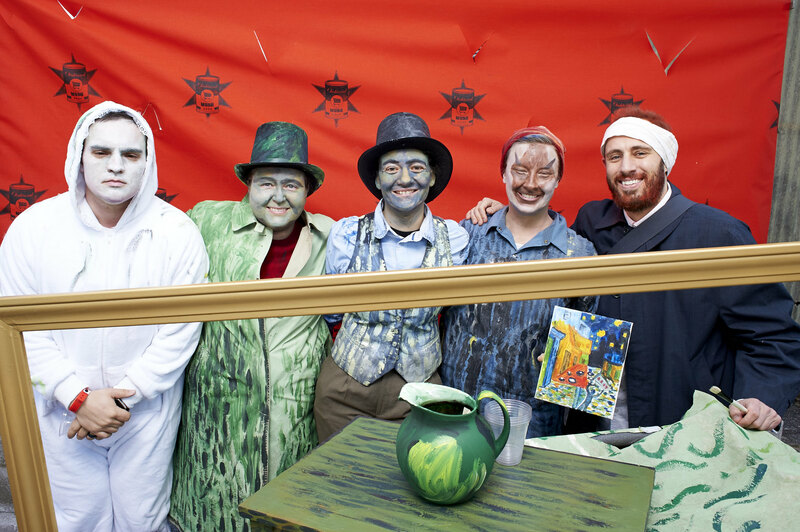 The annual event raced through Chicago’s West Town Ukrainian Village neighborhoods, visiting five checkpoints each. 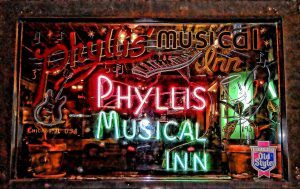 Mahoney’s, Phyllis’s Musical Inn, Five Star Bar, Roots Handmade Pizza, and Cobra Lounge hosted costumed superstars with their own themes and contests for teams to participate in. All bars generously donate a portion of their proceeds to The CHIditarod Foundation to aid in our epic mission of fighting hunger in Chicago. 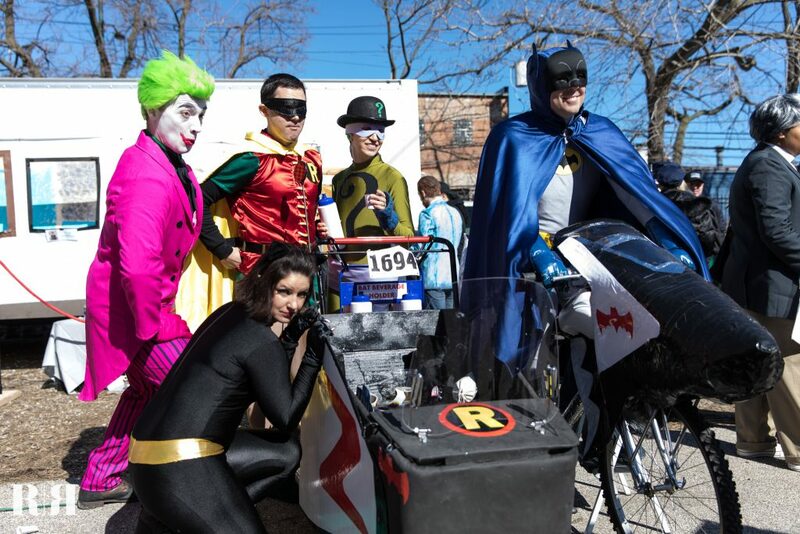 CHIditarod is always finding new ways to positively impact our community and those in need. This year we again collected unused toiletries for Sarah’s Circle, a non-profit agency serving women who are homeless or in need of a safe space. They also focus on women needing support because of domestic violence. Thank You to everyone who donated race day, at ChiditaBowl, and at the Burners Without Borders Chicago Winter Ball. 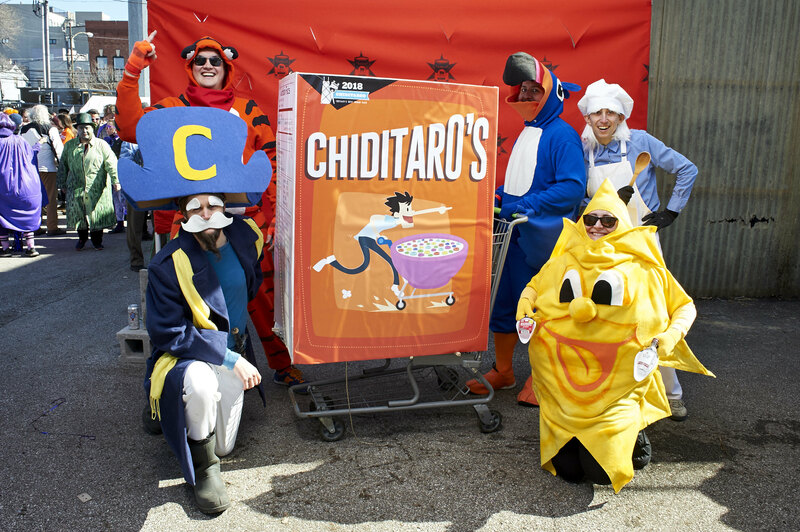 With the help of our friends and at the Greater Chicago Food Depository, the CHIditarod XIII food drive collected enough food to provide 14,476 meals for Chicago’s hungry. 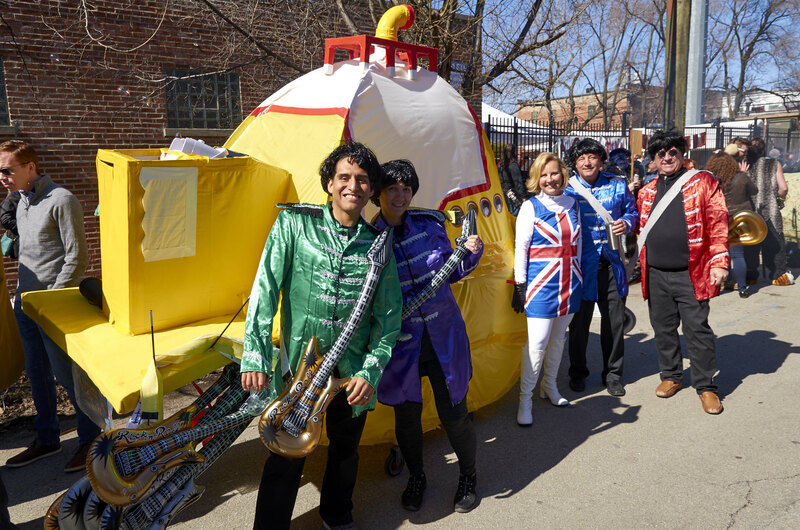 Thank you CHIditarod participants for being amazing all-stars and for making a difference in the lives of many, many people. The Chivengers avenged hunger this year at superhuman levels. This team brought in 2,525 pounds of food to give 2,104 meals to those in need. 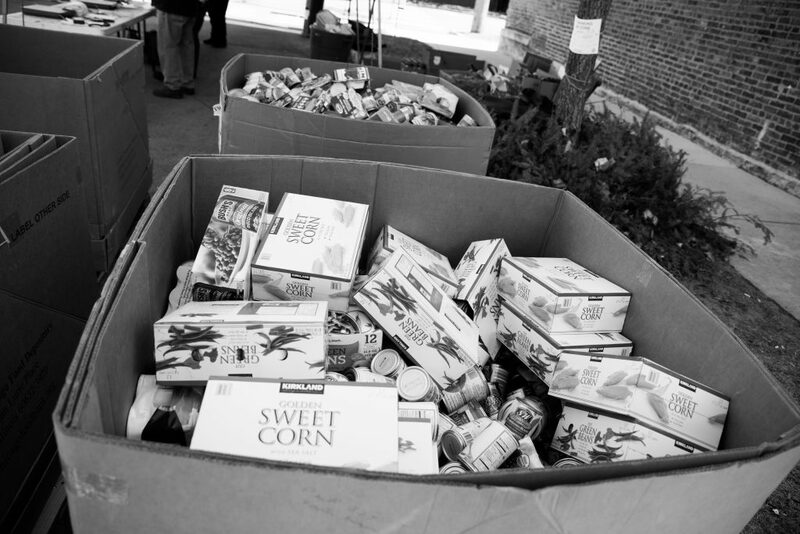 Chickiditarods were our second most food drive-driven team, bringing in 1,668 pounds of food, equivalent to 1,390 meals! A HUGE THANK YOU to these teams who help us make sure all Chicagoans have the food they need. The art carts this year were a small but mighty group, diverse in experience and execution. 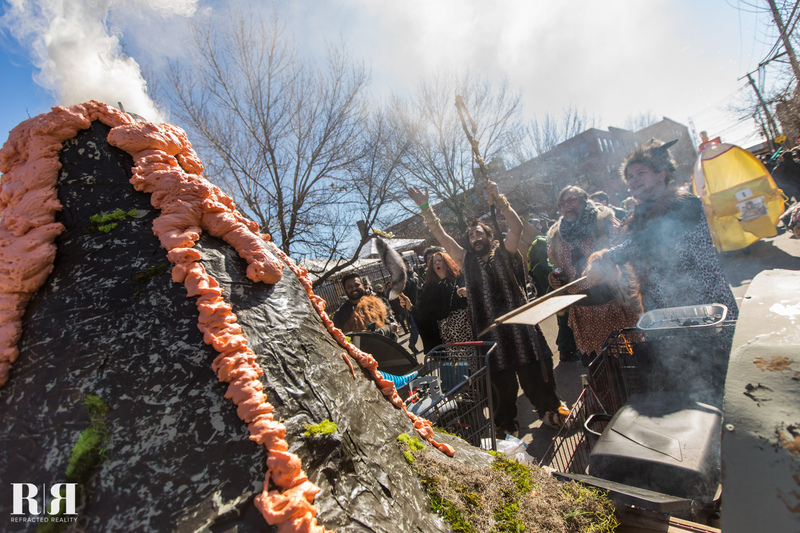 From virgins who lived in a Yellow Submarine, to a Stone Age Secret Gentlemen’s Club, and the stalwart HoboQ dishing out tapas, everyone enjoyed snacks, music, and of course, FIRE! To date, the CHIditarod Foundation has give out $152,000 in grants to local nonprofits who share in our mission to stop hunger in Chicago. This year alone, our racers, volunteers, checkpoints, and organizers — with the help of their families, friends, and communities — raised more than $56,000 in support of this community grants program! Racers and volunteers raised more than ever before. We will once again be able to fight hunger challenges, supporting community-centered initiatives that address hunger, food scarcity, and education via the CHIditarod Grant Program. Once again, 3GS&T were the big winners in Fundraising. For the third year in a row they smashed the prior year’s donation record, raising an incredible $10,451. In 2018, however, they were chased by a new rival, the breakfast cereal characters of Nomeward Bound. In an epic battle that had fans and Coreganizers alike watching their phones until the cutoff of 5:30pm on race day, 3GS&T just barely edged out Nomeward Bound, who finished with $10,207. That is an incredibly small margin. Nomeward Bound are true heroes in our eyes and deserve just as much admiration. Last year’s challenger, The Chidiots, rounded out the top three with an absolutely stellar amount of $6,244, and we deeply appreciate them – and everyone who contributed – for helping make this year’s grant pool even deeper. 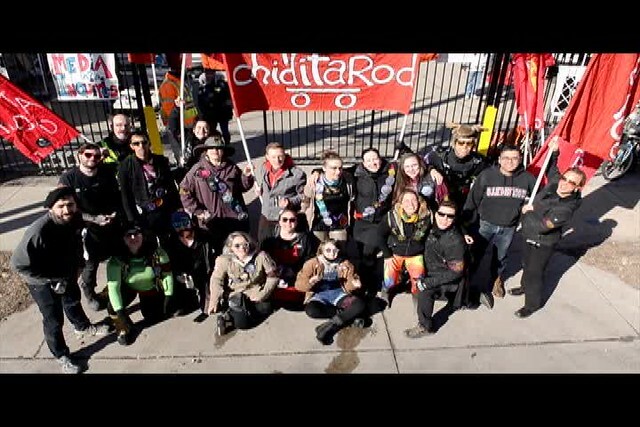 While CHIditarod racers do wondrous things, none would be possible without the more than 250 brave and selfless volunteers that make CHIditarod happen. 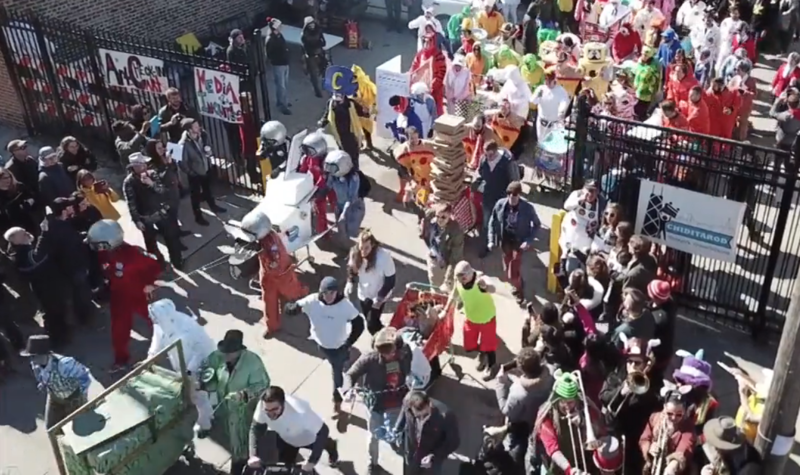 Volunteers are truly the MVPs of CHIditarod. Not only do many of them fundraise, they also build the starting and finish lines, create immersive and exciting checkpoint environments, keep you safe while mobile, and have a blast right alongside you. To our volunteers, we honor and salute you all. Thanks. Visit our grant page to learn about the program and how your organization can apply during the next grant cycle. 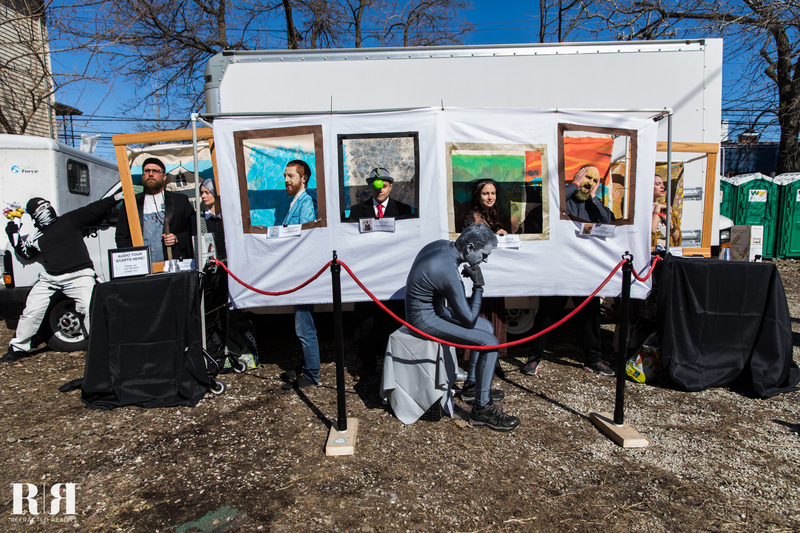 A tour through a mobile gallery, led by a boastful but engaging host was this year’s big prize winner. Stretched over two carts, this art collection included six classic paintings, a sculpture garden, graffiti art, a 60-second audio tour, the obligatory velvet ropes, and of course, wine and cheese. Sight, sound, and motion (Munch’s “The Scream” actually did just that…) made for one of the most creative and interactive carts of the day. This team was so well-loved that they also have been awarded the 2018 People’s Choice Award based on the feedback received from our post-event all-racer surveys. Stellar effort! Another art theme takes a top prize as this Van Gogh cart didn’t merely offer up (gummy) sliced ears. A vision of the artist himself signed handmade, original paintings for Judges and timekeepers alike. Autographed on the spot, each one featured an aspect of CHIditarod, from a Chicago flag, to a Hancock Holdup logo, to a shopping cart, all in the setting of an actual Van Gogh painting. 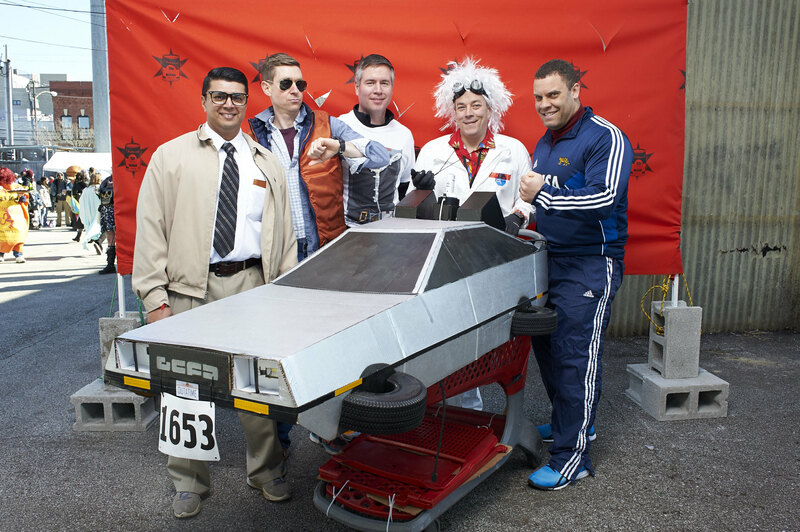 This year’s Rookie team took us Back to the Future in their DeLorean model cart, complete with a newspaper predicting their win and a walking, light-up Flux Capacitor who fueled up on Dippin’ Dots. 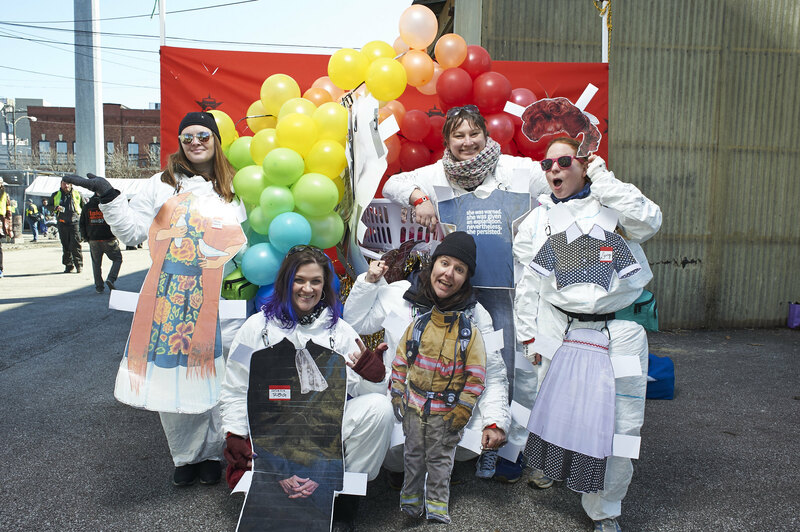 There are so many more winners at CHIditarod; see below for all the fun numbers. 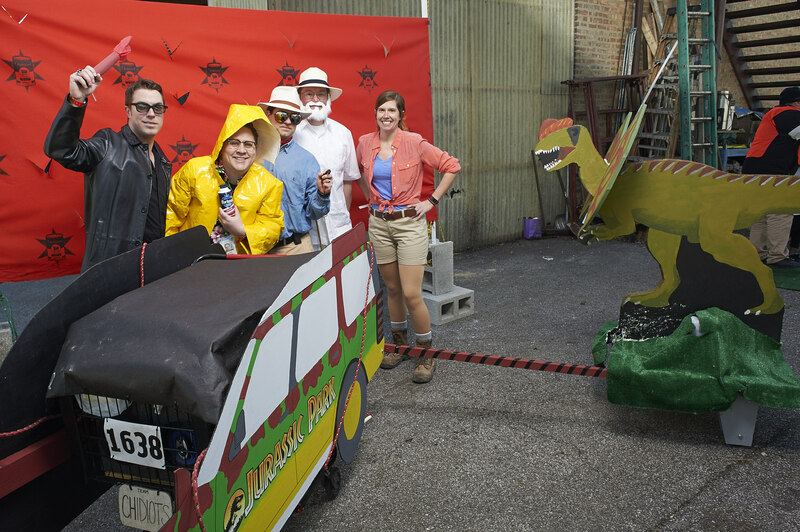 Jurassic Park: Is It Getting Cretaceous in Here or Are You Just Happy to See Me? The (Beetle) Juice is Loose! CHIditarod is in fact a race! Rushing from the start, hitting each bar for a 25 minute rest, and completing a five mile race is grueling work.